Britain's Prince Harry and his fiancee Meghan Markle arrive for a visit to Cardiff Castle in Cardiff, Wales, Thursday, Jan.18, 2018. During their tour, Prince Harry and Ms. Markle will hear performances from musicians and poets, meet sportsmen and women, and see how organizations are working to promote Welsh language and cultural identity. Prince Harry has introduced his American fiancee to a new part of Britain ahead of their planned nuptials in May. 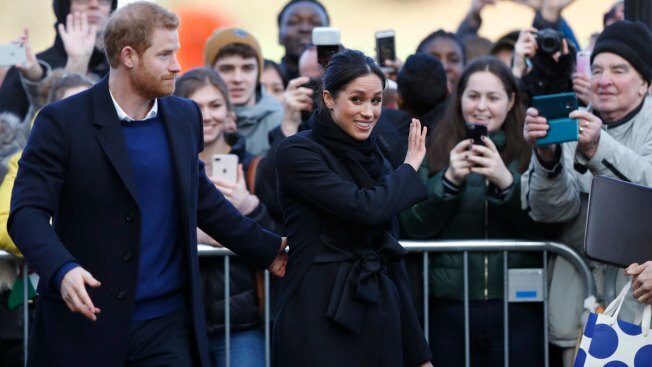 On Thursday, the 33-year-old prince took Meghan Markle to Wales, where they delighted crowds outside Cardiff Castle despite arriving an hour late because of train problems as high winds buffeted Britain. The prince and his soon-to-be-royal bride greeted fans and shook hands with dozens who had waited in the cold for a chance to greet them. Markle wore a black coat by British designer Stella McCartney and stylish jeans from a Welsh designer, Hiut Denim. Harry wore a blue sweater. Harry and Markle have already made pre-wedding trips to Nottingham and to the Brixton neighborhood in south London. 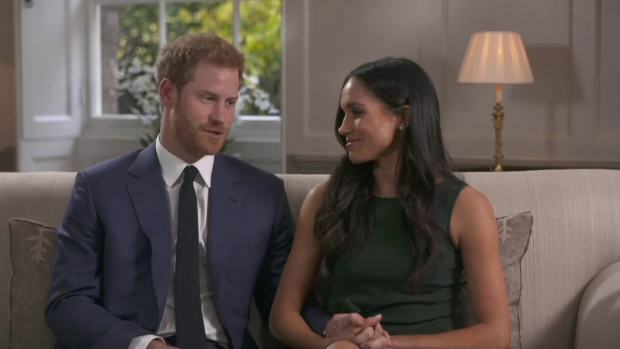 They will marry on May 19 at Windsor Castle. CORRECTION (Jan. 18, 2018, 2:05 p.m. ET): This story has been updated to correct the spelling of Markle's last name in an earlier version of the article.